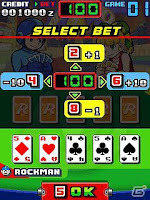 A new bite-sized Rockman game hit the mobile market in Japan this morning: Rockman Poker. The name of the game says it all, really. 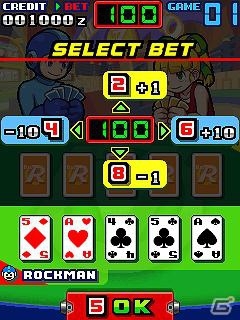 It's poker with Rockman characters. No gameplay gimmicks, snazzy music or sound. Bare bones in every sense of the word. At least the sprites are nice (they're animated, too!) UPDATE: Additional screenshots available at Gamer, for those interested. It appears Bass is a challenger, too. Subscribers to Capcom's Capcom Party mobile service can snag Poker for free, so it's at least worth a shot. Could be fun, I suppose. The again, I think we'd all much rather pay good money for a quality game that took some effort to develop. Not knocking anybody who worked on Poker, but... c'mon, guys. 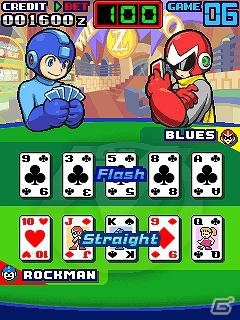 We're long overdue for some real blue bomber gaming. Compared to its predecessor, the Mega Man Star Force series received very little merchandise aside from a few electronic doodads and collectibles. 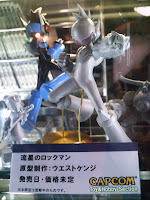 At one time, however, a line of high quality, non-poseable figures were in the works courtesy of West Kenji. For one reason or another, these plastic heroes fell by the wayside. Like so many other Mega Man figures before them, production ceased before they saw retail. 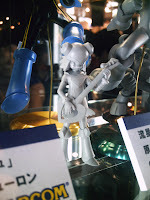 Our only glimpse of the canned series came from the 2006 Tokyo Game Show, where protoype molds were displayed for show-goers. Geo Stellar in his Mega Man duds, Harp Note and Taurus Fire made up the line. 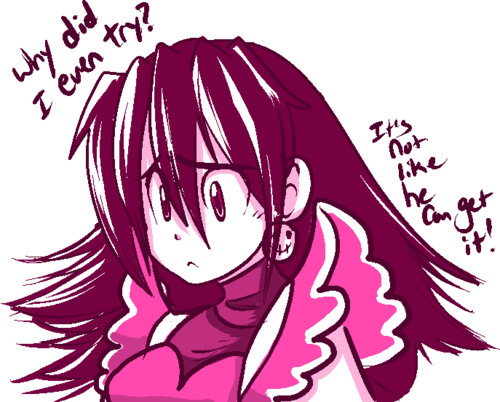 There's no record if any other characters were planned, but it's not a stretch to think otherwise. And, really, that's all there is to it. So little information exist beyond their one and only public appearance that the line pretty much fell into obscurity. It's quite unfortunate; we could have used some more Star Force figures. Thankfully, we will always have these photos to admire and wonder what could have been. 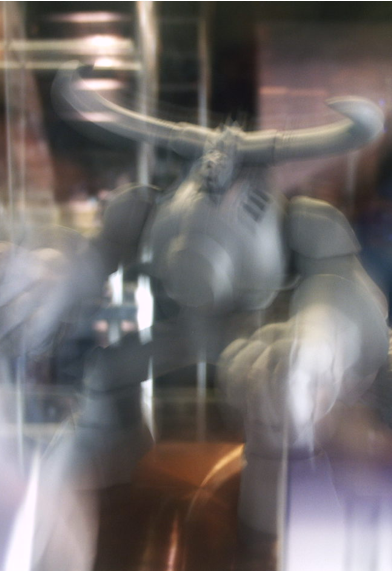 You can check out more images of each figure (save for Taurus Fire, he's been through an earthquake) here. 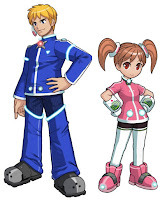 The results of the latest Rockman Online event have been announced, and the winning names for the game's two human NPCs are Deneb and Phoebe by Rockman Corner contributor Amunshen. Congratulations! Amunshen's reward is an all access pass to Rockman Online's upcoming closed beta test. And because she's such a swell fellow, Amunshen will provide us with all sorts of inside info and reports about the beta. Hopefully, non-disclosure agreements won't be a problem, so keep those fingers crossed for some real in-depth coverage. But I digress! So, what's in a name? Well, according to The Mega Man Network, Deneb's name hails from the character's high admiration of Reploid commander Signas. "This was derived from the fact that Signas sounds a lot like (and may be named after) Cygnus, a mythical swan that a constellation is named for, " writes TMMN's Heat Man. "Deneb is the brightest star in Cygnus, hence the name." Phoebe, meanwhile, holds no significant origin. However, the name more or less reflects the character's cute characteristics; a convergence of brightness and purity. Again, another congratulations to Amunshen. We'll be keeping you posted with new Rockman Online beta information as it becomes available. 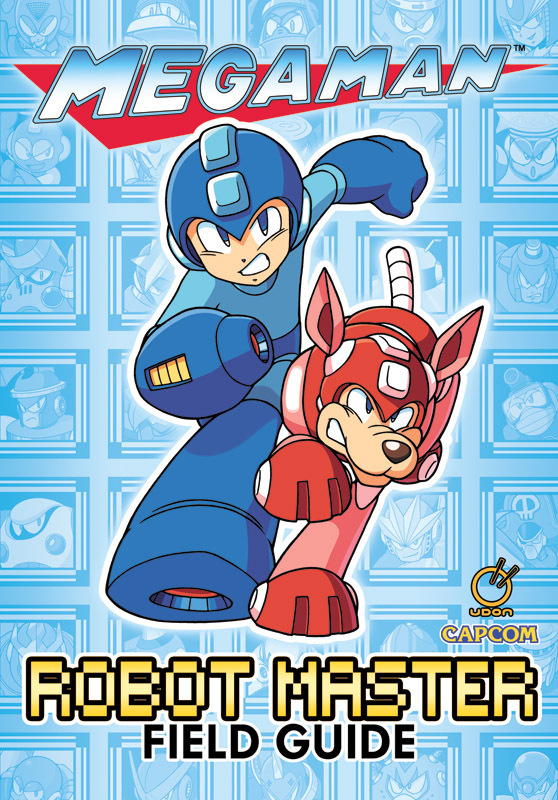 There have been some whispers going around that the Mega Man Robot Master Field Guide from UDON Entertainment has been delayed. Today, we can put some of that chit chat to rest. UDON has updated their upcoming release schedule, with the guide now penned for release on April 11th, 2012. Before you start celebrating, it should be noted that this is a projected release date, albeit the most accurate according to the UDON crew. Nothing is absolute just yet, so it might do well to keep your fingers crossed, too. I've reached out to UDON for further confirmation, but I've yet to hear anything back; I will update with new information as it becomes available. The Robot Master Field Guide will serve as a handy compendium of the classic series universe -- chock full of character profiles of every major Mega Man character, hero and villain. It's a very special book that's being carefully prepared; for fans, by fans. Hopefully, it will be in our hands soon enough. Whether by way of deliberate tribute or lack of originality, the visual similarities between Mega Man Battle Network and 2007's Zettai Onkan Otoda Master by Hudson Software have not escaped the keen eyes of PRC contributor Mega Rock. Otoda Master, an obscure little RPG for the Nintendo DS released only in Japan, is home to a rather familiar overworld and sprite style. 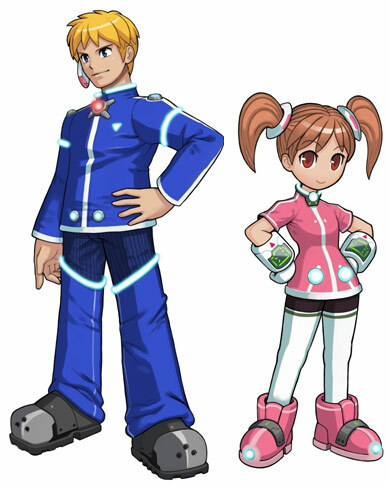 Beyond uncanny aesthetics, the game shares little in common with the tried and true Battle Network formula (and Star Force, for that matter). Actually, it's fairly unique in its own right: the game is all about training and battling "Otodamas", little creatures you discover based on the different kinds of sounds your DS picks up. The bark of a dog, the honk of a horn, and even a bloodcurdling scream all produce some kind of Otodama to be used in battle. Pokémon seems to be the big inspiration here; however, the Battle Network inspired art direction truly sticks out like a sore thumb. But as they, "imitation is the highest form of flattery" -- perhaps more so in other cases. Nonetheless, Hudson has done an admirably job at capturing MMBN's trademark style, maybe even a little too good. For more Zettai Onkan Otoda Master gameplay, swing on over to YouTube. Well, that certainly took long enough. 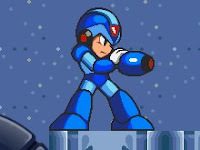 Mega Man X is finally being released in Europe on the Wii Virtual Console, nearly a whole year after its North American and Japanese release in the Spring of 2011. The Super Nintendo classic is slated to blast onto the service sometime in March, according to a release schedule from Nintendo of Europe. I expect we'll here confirmation of a specific day soon as more information trickles out. The game is anticipated to run you 800 Wii Points. All in all, this is great news for our friends in Europe. 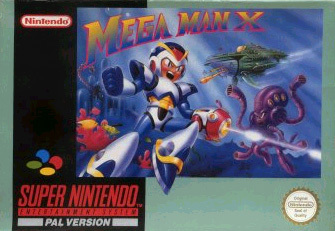 Hopefully, Mega Man X2 isn't too far off... but then again, we're still waiting for that one here in the states. I'll be keeping an ear out, of course. 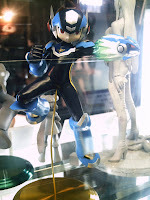 Nightram56 of the Video Game Memorabilia Museum (a nirvana of video game goodies and trinkets) shows off the elusive Mega Man X X-Buster toy from Jazwares. 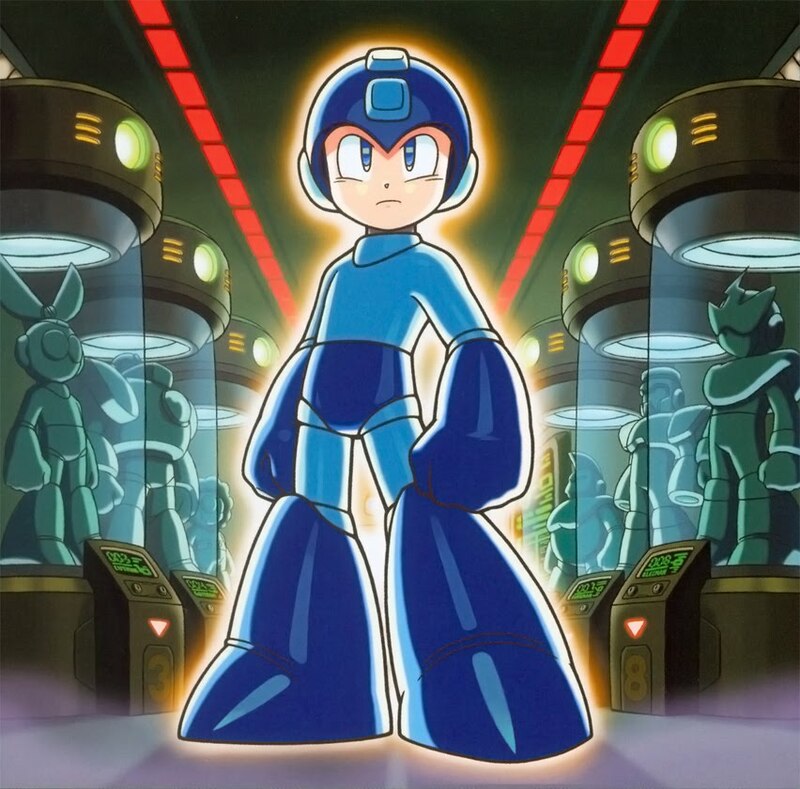 The product is notorious for its poor distribution throughout North America, making it one of, if not the rarest Mega Man product produced by Jazwares. Aside from glaring packaging inconsistencies, the product itself seems pretty sturdy. Maybe not as high quality as Mattel's similar NT Warrior Mega Buster toy, but it gets the job done. 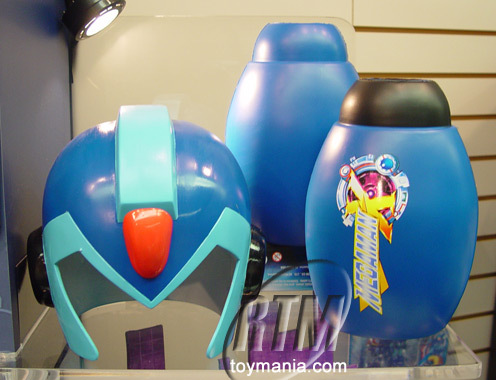 And to answer Nightram56's closing inquiry, yes: Jazwares was working on a classic series variant, seen here. Concurrently, a MMX roleplay helmet was also on the burner. Nothing became of them, however. The X-Buster is as rare as they come, so the best advice I can give is keep a close eye on Ebay. Best of luck! If you're a fan of MegaPhilX's work, hoo boy, you're in for a treat. Tonight, MegaPhilX unveiled a brand new trailer for his highly anticipated fan game, Mega Man Unlimited. The game's still a ways away from release, but it's good to see things coming along nicely. 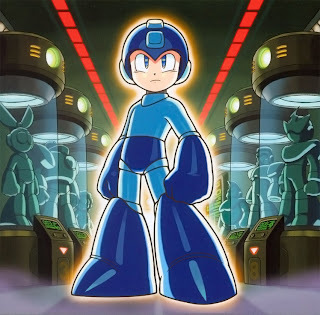 MMU has been in development for three years, formerly titled "Mega Man 10" before the real deal came along. 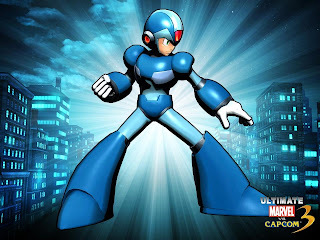 In that time, the project managed to generate a bit of controversy: Capcom unkowingly built the official Mega Man 10 website with Mega Man Unlimited graphical assets! The snafu was quietly swept under the rug, and MegaPhilX was reimbersed with a trip to Capcom's Gamer's Day. Funny thing is, you can still find some bits and pieces of MMU sprites and backgrounds at the site today. Hey, who else but Capcom? You can learn more about Mega Man Unlimited and stay on top of future updates at MegaPhilX's homepage here. Thanks for the tip, AudioOut! We're just a couple days away from PlayStation Vita's North American launch, and among the original PSP games available for download from the get-go is Maverick Hunter X. The above video, courtesy of 1UP's Jeremy Parish, shows off just how spiffy the game looks running on the system. It's bigger, bolder and brighter. In a word, magnificent. So far, MHX is the only Mega Man title playable on the system outside of Japan. Powered Up is compatible, but it's only available on the Japanese PlayStation Store. All four PSOne import Rockman games, while available on PlayStation Network worldwide, are not Vita compatible at this time. Plans to address PSOne compatibility are said to be in the works, so that's something to keep an ear out for. Yes, you read that right: Quake Woman. Archie's officially entered original Robot Master territory. No images of this mysterious character exist at the moment, but I like to imagine she'll pop up in the inevitable batch of preview pages in the coming months. Don't let the title mislead you: Dr. Wily is not getting his own movie (interesting idea, though). Rather, the maniacal doctor, among other classic video game villains, will be making an appearance in Walt Disney's upcoming animated feature film, Wreck-it Ralph. Wreck-It Ralph, due out this November, is a movie about the titular Ralph, a video game villain striving to become a hero. To that end, Ralph must escape the confines of his game, Fix-It Felix Jr., and travel to other video games to prove his worth. The film has been said to feature cameos and homages to a number of characters, but this is our first look at the concept in action. 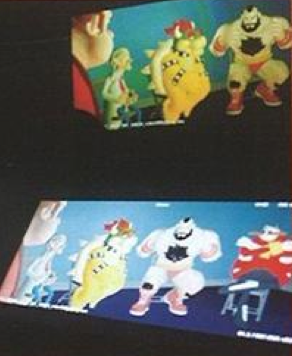 The above image from Disney’s D23 Magazine is largely assumed to depict a scene where Ralph attends a video game villain support group. Dr. Wily (left), Bowser, Zangief, and Eggman/Robotnik are all present and accounted for. So, yeah; the scene essentially sells itself. Cinema gold in the making. No indication how large a role Wily and his companions will play in the film's plot, but I definitely like what I'm seeing so far. And who knows? Perhaps Mega Man, too, will make an appearance? Hurray for mainstream exposure! Capcom's controversial iOS version of Mega Man X saw its first update yesterday. Nothing too major, but noteworthy nonetheless. The version 1.01.10 update gives the game full iPad and iPad 2 high resolution support. Sprites and menus are now optimized to fit iPad displays, whereas the original version had to be scaled to fit. The other big addition is a brand new mode. For players looking for a challenge, Capcom has introduced Time Attack Mode. In Time Attack, your life bar has been replaced with a gradually depleting time gauge. The game ends if you fail to complete a stage before your time is up. Fortunately, enemies drop time replenishing items while "T Tanks" completely refill the gauge just before you have to face a boss. Records are logged online via Apple's Game Center service, so feel free at trying your hand to reach the top of the leader boards. I've also heard whispers that the 1.01.10 update removed the hidden 25th Anniversary logo. Not that it has any bearing on the game itself, but it's interesting to see it up and disappear deliberately. Thanks for the tip, Mike! 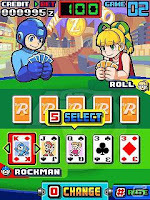 Want to beta test Rockman Online? All you have to do is win a little contest... if you happen to live in Asia. Neowiz today announced a contest in which applicants are to name two of the game's NPC characters (above). The winning entries will be awarded with a closed beta key, in addition to having their named NPCs appear in the game (UPDATE: Hit the jump below for character bios!). The official Rockman Online blog is accepting entries from now until February 26th. Unfortunately, the contest is limited to residents living in Asia, further cementing the notion that the full game will, for the time being, remain exclusive to that region. Plans could change, but we've yet to hear otherwise. Moreover, Neowiz have not said if they plan to offer more beta keys in the future. It remains to be seen if this will be the only opportunity to score a chance to play the beta. This one goes out to all the Mega Man Legends fans; the people whose unwavering passion and love will one day bring Mega Man Volnutt home. 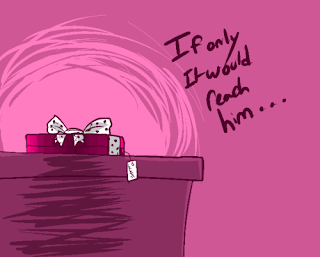 Happy Valentine's Day, friends. I don’t often use the blog to showcase artwork, but every so often a unique case pops up that makes it hard to resist. This Norman Rockwell-inspired Valentine's fan art, aptly titled "Rock N Roll Valentine", is just charming. 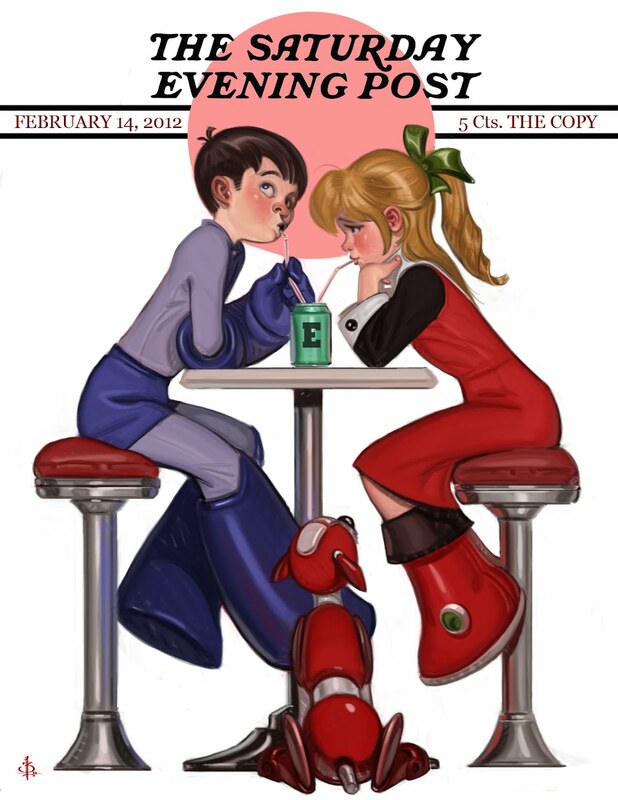 Drawn by the ever talented Bryan Lee, it's an innocent homage to the Light siblings, leisurely embracing a moment of peace and quiet before Wily runs amok for the umpteenth time. The malt shop setting is really the icing on the cake. Classic Rock and Roll's relationship is often misconstrued, but I like to think this piece does a fine job of keeping things ambiguous. As they say, great works of art can be interpreted in numerous ways. More equally amazing art can be found at Bryan's official blog. Here's another new Mega Man product coming from GE Animation later this spring: a large messenger bag, built to tote around whatever tickles your fancy (such as the dozen of other GE Mega Man products available). 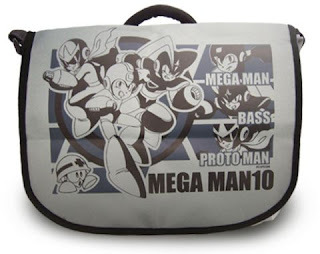 The Powered Up motif of previous goods has been seemingly dropped in favor of a Mega Man 10 theme, featuring the dynamic trio and a stray, onlooking Met. For $35.00, it can store a hefty amount of E-Tanks, Bolts and everything else you need to fight for everlasting peace. You might be able too squeeze in an Item-2, too. 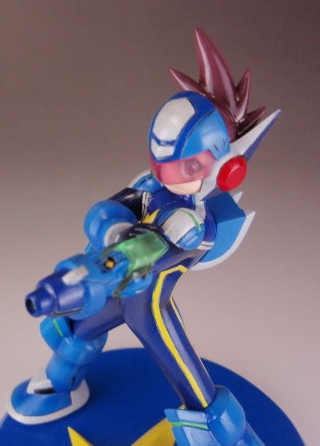 So few Star Force/Shooting Star Rockman figures exist that it's almost criminal. Yet, where Capcom and partners failed to deliver, one crafty fan succeeds. 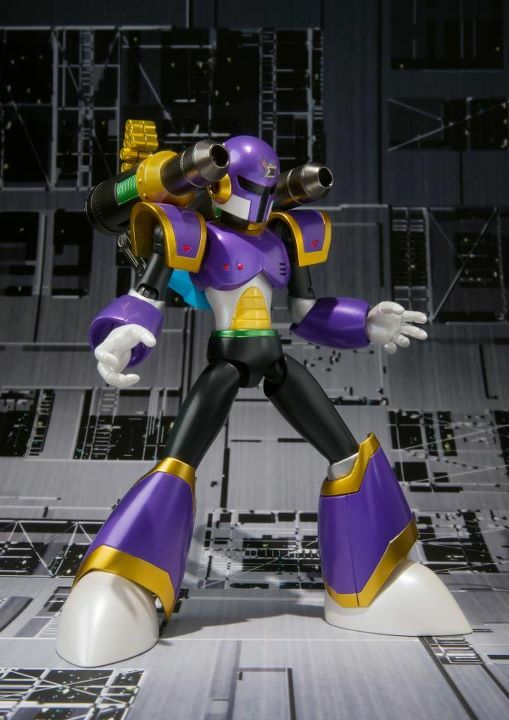 Custom figure designer SasuraiMaru has a new entry in his line of homebrewed statues, this time based in the visage of Shooting Star Rockman 3's Rockman. It's delightful. 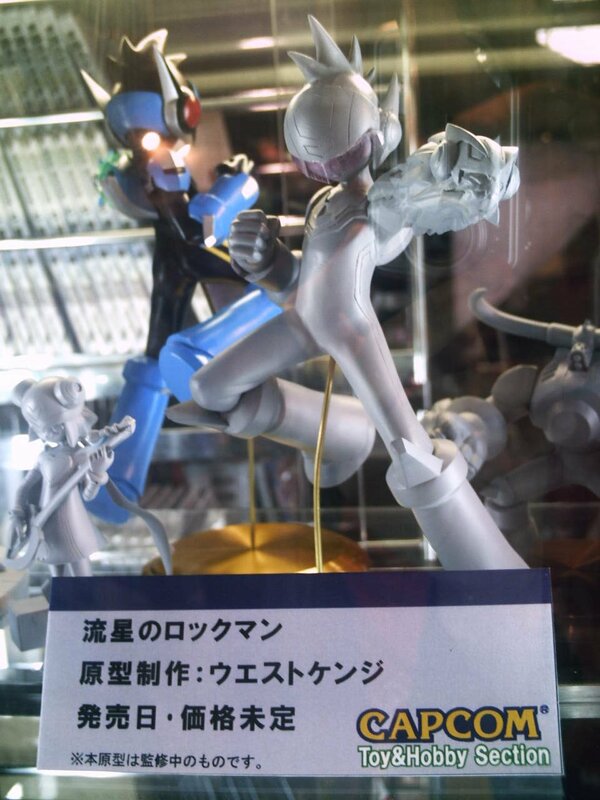 No word if the statue was sold at Wonder Festival, let alone showcased. Nevertheless, here it is for your viewing pleasure. Click here for a couple additional shots. If you've been eagerly looking forward to Bandai's D-Arts Vile figure, then you can go ahead and pre-order it now. Big Bad Toy Store is now offering pre-orders at $49.99, due to ship out in June. Having not been officially confirmed by Bandai/Bluefie, however, "June" is likely a tentative date and subject to change at a moments notice. 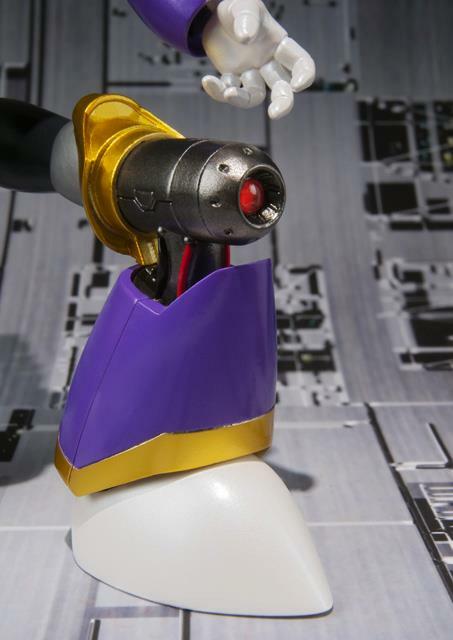 So, if you've got some Zenny left from your recent Zero Type 2 pre-order, hop on over to BBTS and secure your Vile! 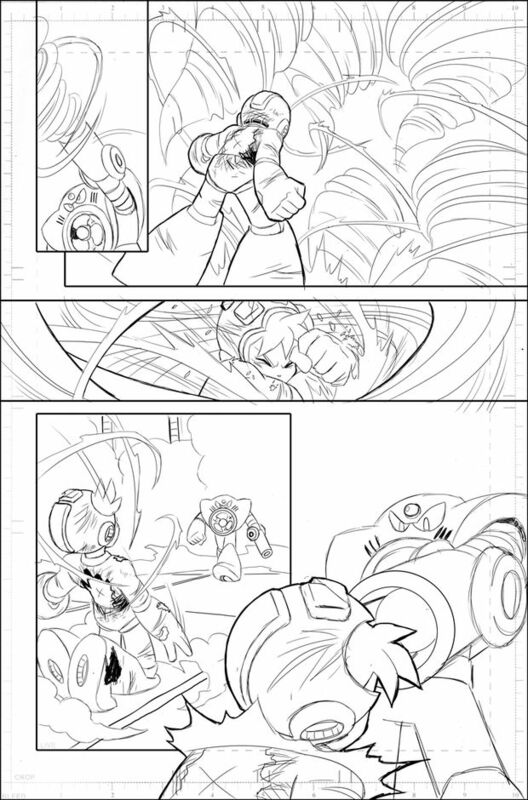 Over at Destructoid, Tony Ponce has provided a little teaser of a work-in-progress page from Archie's Mega Man #11. The rough sketch (penciled by Ben Bates) depicts a heated battle between Air Man and the Blue Bomber, the latter taking quite the beating. 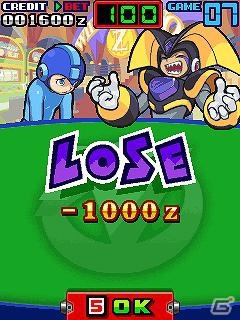 Yes, that's right: Mega Man can't beat Air Man. Definitely an intentional fan culture reference on Archie's behalf. 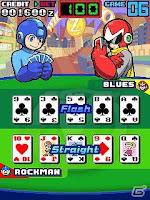 The "Can't Beat Air Man" audio/video craze brought about a flood of fanmade media showing how difficult it is to defeat Air Man. The song has since achieved memetic status around the globe, with Air Man himself becoming an object of parody in his homeland. “Dr. Wily Returns,” Part 3. Mega Man has been in the fight of his life against Dr. Wily’s eight new Robot Masters! 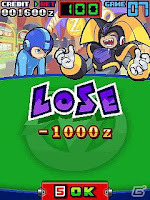 Fearsome as they are, Quick Man has always been there to mock Mega Man and slow him down. Now, at long last, it’s the showdown you’ve been waiting for! 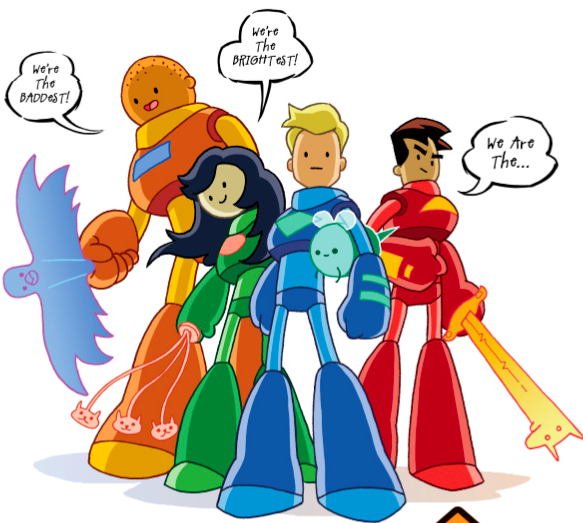 And you won’t believe who shows up to help Mega Man at the eleventh hour! -- 32 pages, $2.99. 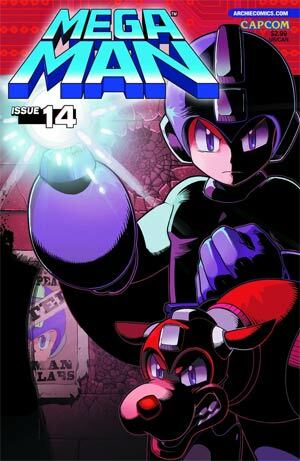 Mega Man #11 hits comic stands and mailboxes everywhere next month. Thanks for the tip, Tony! Eyebrows have been raised at Bravest Warriors, a brand new action show from Adventure Time creator Pendleton Ward. 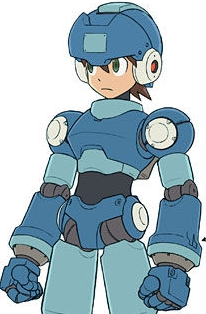 Not necessarily because it's looks neat (it does), but because lead protagonist Chris bears a design strikingly similar to Mega Man... and then some. Whether this constitutes coincidence or playful referencing is perhaps within the eye of the beholder. However, one thing is absolutely certain: Pendleton Ward and character designer Natasha Allegri are self professed gaming fanatics. Adventure Time itself is rife with retro game parodies and general silliness, so there's little doubt Bravest Warriors won't follow suit. In any case, Bravest Warriors seems like a promising concept, with hopefully more Mega Man-ish nods to come. Additional concept artwork and series info available at io9. Good news, Battle Network/Star Force fans! 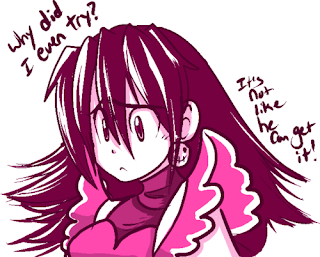 The Rockman EXE Operate Shooting Star English translation project is back on. A dedicated fan by the name of Speaker has taken over the reigns, continuing where the original team left off. So far, things are off to a great start: all the Battle Chips have been translated, with dialog strings to follow. At this rate, the project could wrap-up around April/May. That's the best case scenario, mind you. If worst comes to worst, we may not see anything until December-ish. Speaker will be regularly updating his Twitter feed with progress reports and English screenshots, so check back often. If you'd like to lend a hand, I'm sure Speaker would like to hear from you. Drop your contact info in the comments, and we'll see what we can do together. Just a friendly little reminder that the Weapon Expert DLC costume pack for Ultimate Marvel vs. Capcom 3 is due to release later today on both the Xbox 360 and PlayStation 3. 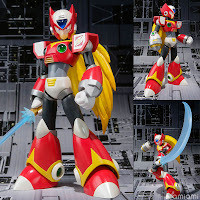 The pack contains, among other outfits, Zero's controversial Mega Man X costume. Weapon Expert will run you 320 Microsoft points or $3.99 USD, respectively. Mind you, the Mega Man X costume brings nothing new to Zero's moveset. To the dismay of practically everyone, it's all for show. Concurrent to a theoretical seventh sequel, a Mega Man Battle Network collection is probably the next best thing fans would like to see from the series. However, you might not want to hold your breath. Not now, at least. Speaking at a topic on the Ask Capcom forums, Capcom's Christian 'Sven' Svensson shot down the suggestion of a collection noting that there are "No plans for anything like that at the moment." The original poster also alluded to the prospect of Battle Network games making the jump to the Nintendo 3DS Virtual Console; it's hard to tell if Sven's comment reflects that notion as well. 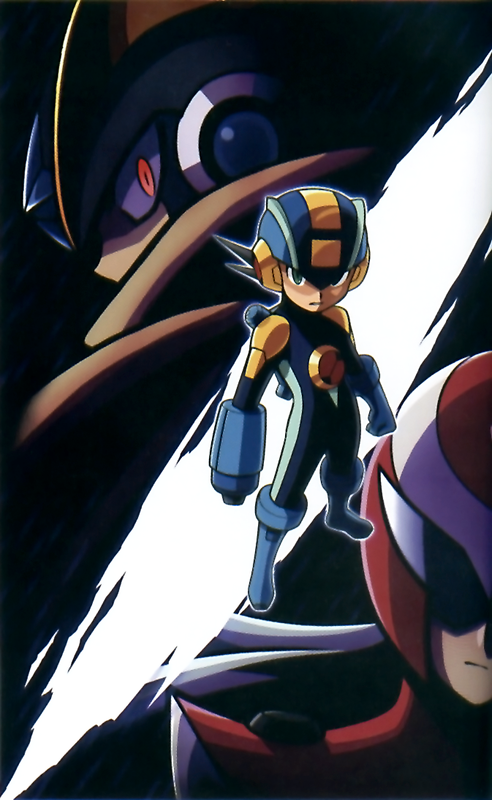 Following Mega Man Anniversary Collection, Mega Man X Collection and Mega Man Zero Collection a complete chronicling of the six GBA Battle Network adventures would seem like a truly viable product. Throw in some unlockable games and bonus features, and you'd have yourself a nice compendium, all on one cartridge for your on-the-go needs. For now, however, it's only a pipe dream. If you'd like to see a Battle Network collection in the future, feel free to pitch the idea to Capcom via Capcom Unity's Suggestion Box. 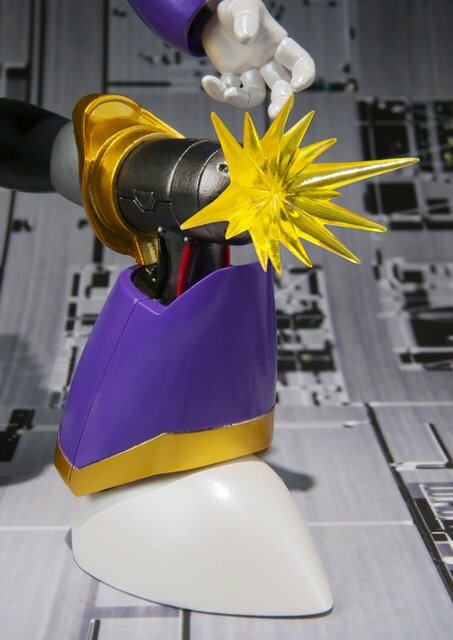 Bluefin USA have unveiled a few pictures of the final D-Arts Vile figure on their FaceBook. As you can see, he sports a bevy of accessories, such as a rather handy-dandy knee canon. Oh, and a freaking glass of bourbon (or mud). How swag is that? Stay classy, Vile. Still no word on a firm release date or pricing, but we'll certainly be keeping our fingers crossed for news soon. 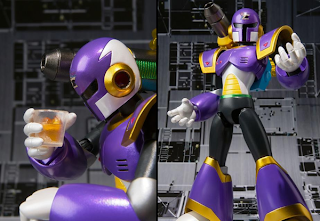 In the meantime, don't forget to vote on the next D-Arts figure! Taste Testing Rockman DASH's Famed Soft Drink, "Oronamin C"
Oronamin C is one of the top selling energy drinks in Japan. It's also, coincidentally, a prominent real life product in the original Rockman DASH. 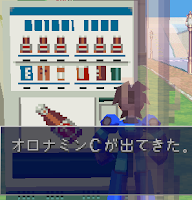 Bottles of Oronamin C populate Kattelox Island's many vending machines. 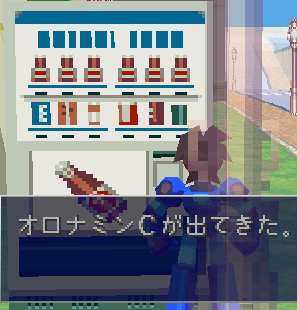 Abroad, it's simply called a "soft drink" in Mega Man Legends. A quick swig replenishes Rock Volnutt's life gauge, quenching his thirst ("You feel refreshed!"). But how does the real thing taste? Is it fist pumping good or downright repulsive? I managed to pick up a pack recently and quite frankly, I'm surprised the drink isn't more widely available outside of Japan. Much to my surprise, Oronamin C proved to be quite tasty. Energy drinks tend to be a hit or miss in my experience, but this funny little brown bottle was just bursting with fizzy goodness. A single bottle houses 120ml of lemon yellow liquid, which tastes an awful lot like honey with a hint of citrus. The stuff is loaded with sugar, so I was pretty much bouncing off the walls by the third bottle. One or two bottles in the morning will leave you feeling energized for a couple hours, but after that? There's a crash. It's no Five Hour Energy Drink, but it's a heck of a lot tastier. All in all, Oronamin C is an absolute delight. 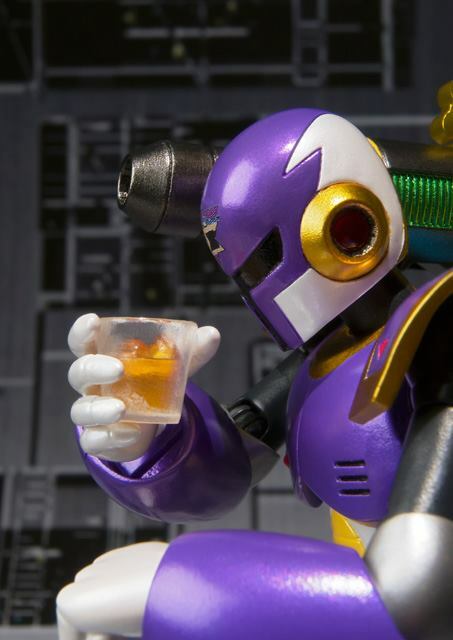 If you're a diehard Mega Man Legends/DASH fan, you're pretty much entitled to own a bottle or two just for kicks. You can import an individual bottle from Pacific Mercantile Company, or 10-pack via Very Asia. Drink up and enjoy, friends! "I was originally only to be available as a Japanese Web Exclusive until massive American interest pulled me out. Who am I? "You worthless piece of scrap metal, did you think you could defeat me?" 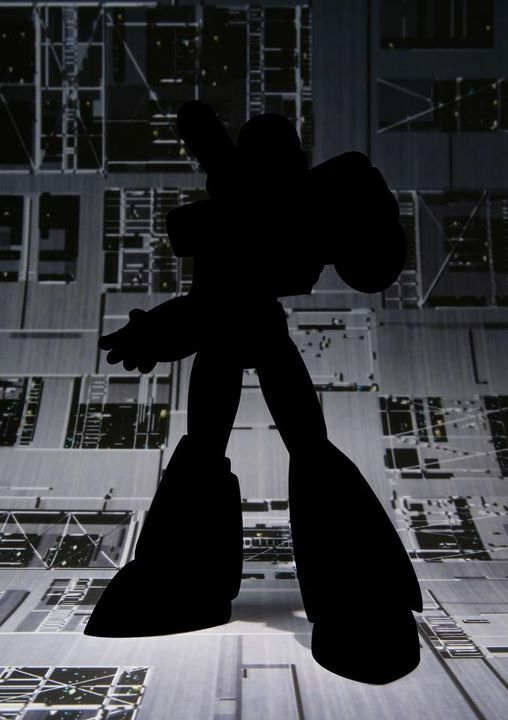 If the pictured silhouette wasn't a dead giveaway, you'll note the quote comes from a rather famous scene from the original Mega Man X, seen here. So, yeah, I think it's safe to assume Vile will not be on tomorrow's poll. Hopefully, we'll have an official confirmation on the figure's release date soon enough. Thanks for the tip, Amulet! 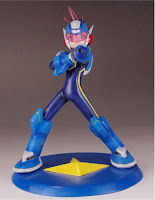 Some weeks back, you voted on which Mega Man character(s) you'd like to see a D-Arts figure of. Starting tomorrow, Saturday, Bluefin will kick off a second poll focused on the top ten choices from the original poll. 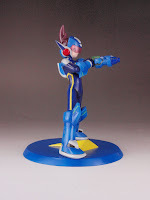 Candidates will range from Mega Man Volnutt, Sigma, Bass, Tron Bonne and more! According to Bluefin, some “choices will be modified to accommodate product announcement(s)." In other words, the recently announced Zero Type 2 figure won't be on the bill this time. Vile might be exempted as well, but we can't say for certain. All in all, this is a pretty exciting opportunity. I honestly wouldn't be surprised if Volnutt wins by a landslide, given his track record thus far and resounding support. Nevertheless, that shouldn't discourage you from voting on your favorite. Thanks for the tip, Jimb0! Right now, Big Bad ToyStore are offering preorders for Bandai's D-Arts Zero Type 2 figure for $45.99, due to ship in June. Alternatively, there's Hobby Search and Amiami... but they're currently sold out. What can I say? The red rocker's a popular fella. If you're too impatient to wait till June for the English version, then you should probably wait until stock replenishes at either Amiami or Hobby Search. BBTS looks to be stocking up on the English version, whereas Amiami and Hobby Search will ship the Japanese version in May. The only discernible difference between the two versions (if past tradition holds true) is the presence of English logos and text. Other than that, it's all the same plastic.